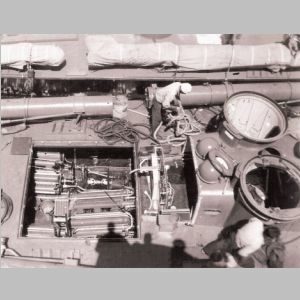 2014 November 8, page updated and PT 362 tube type corrected thanks to a post by Andy here. 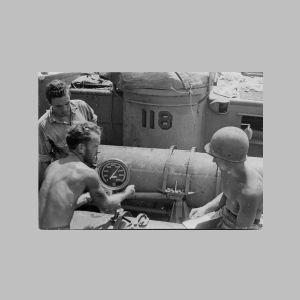 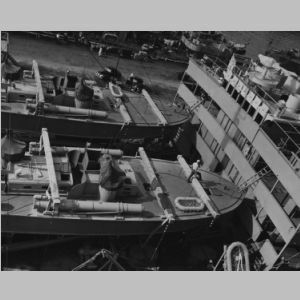 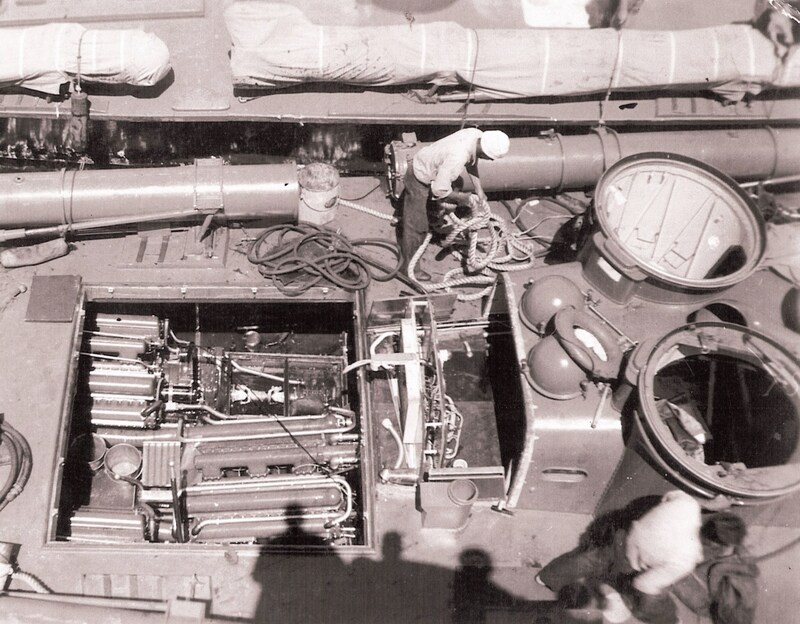 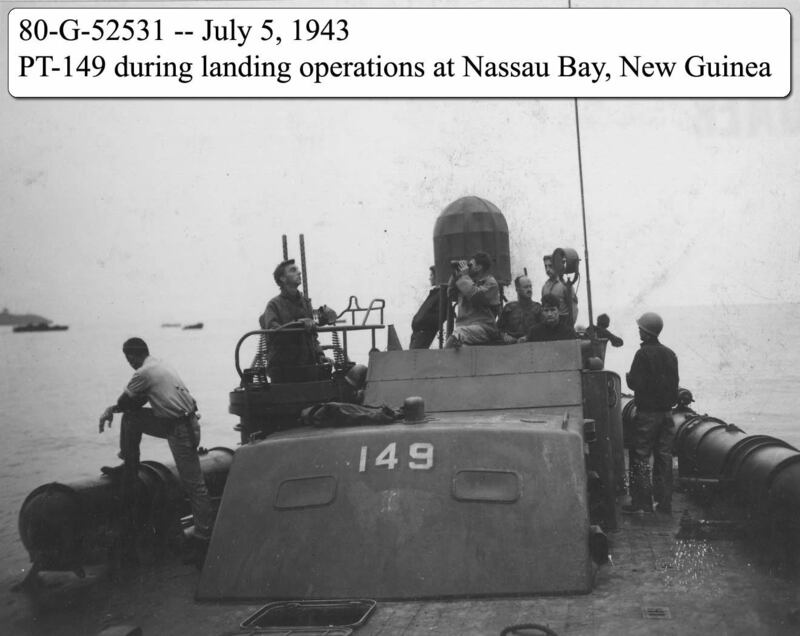 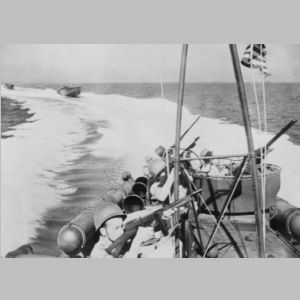 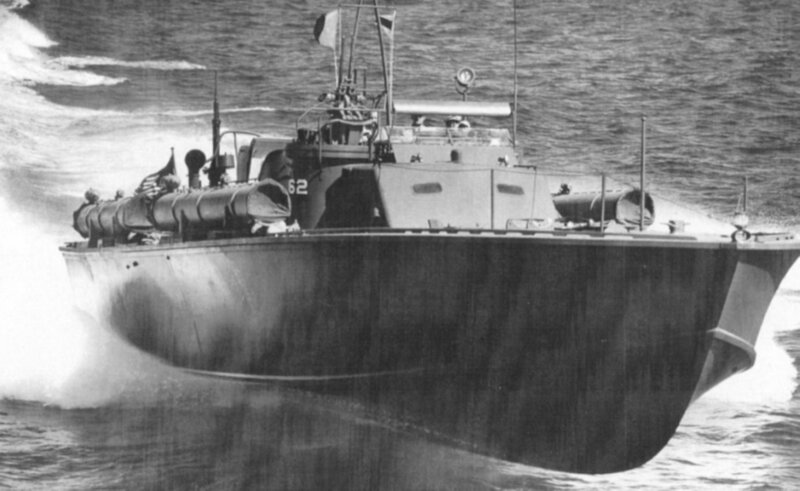 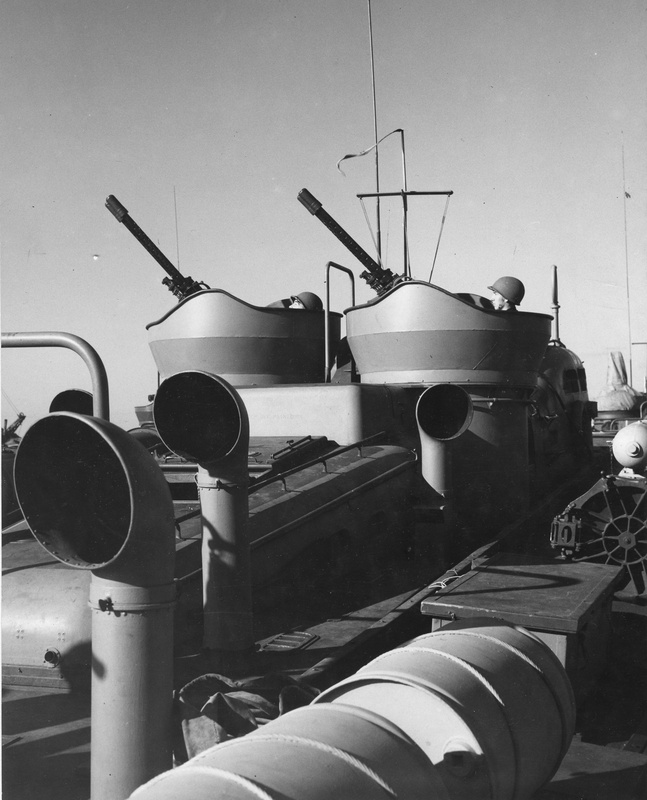 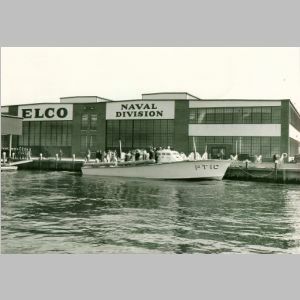 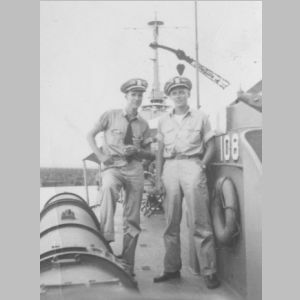 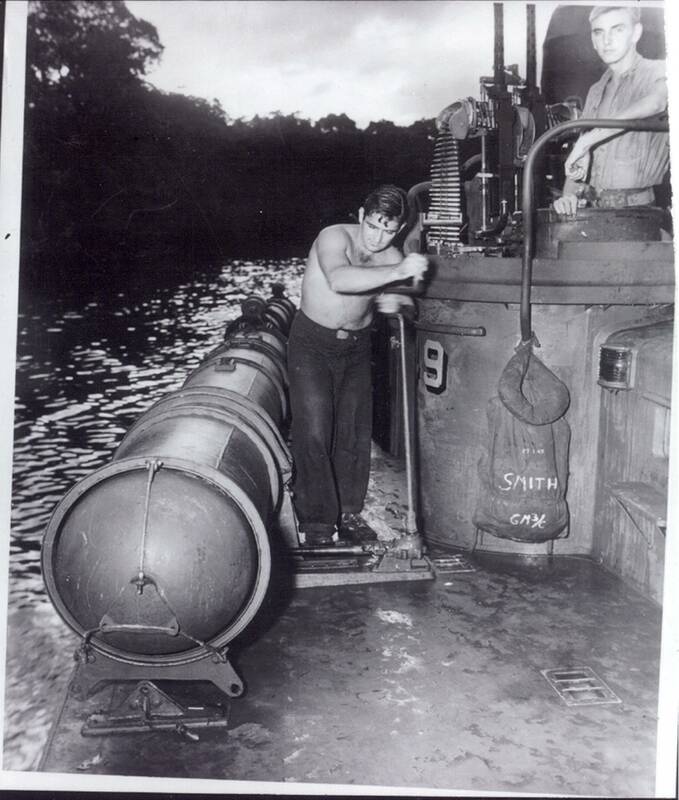 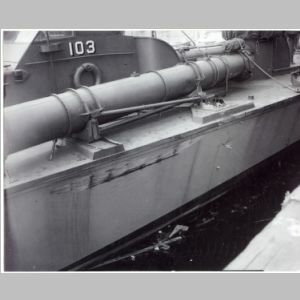 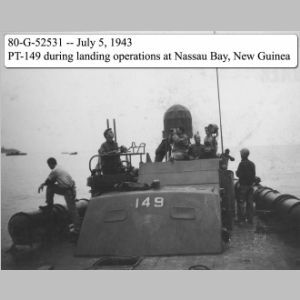 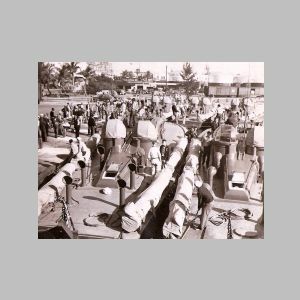 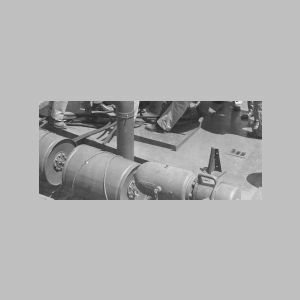 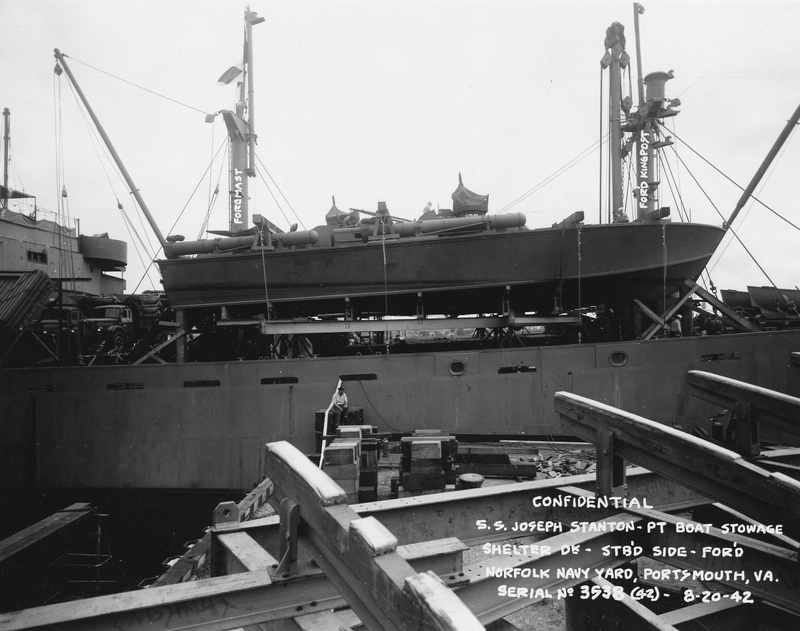 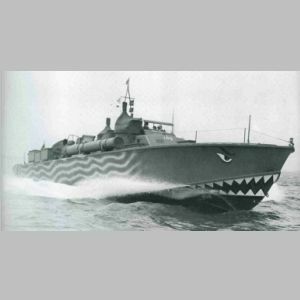 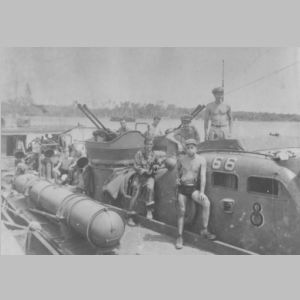 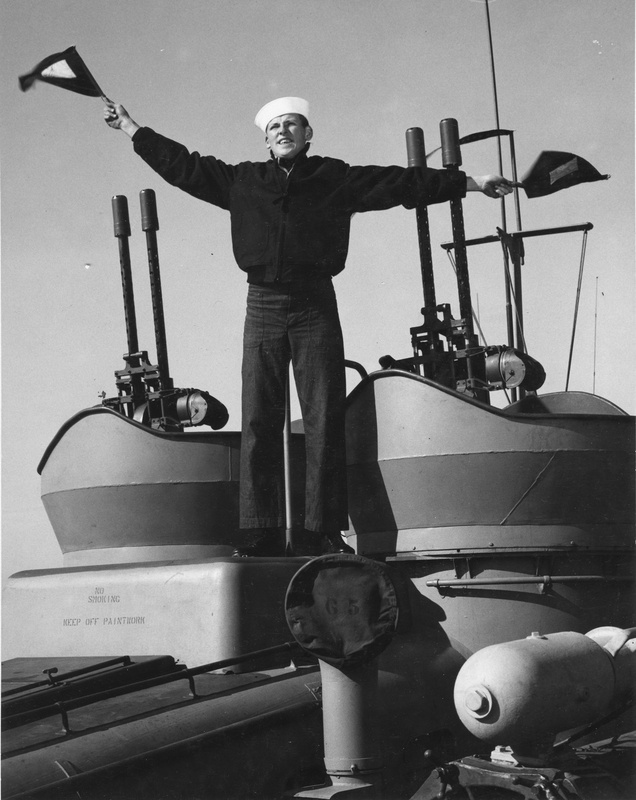 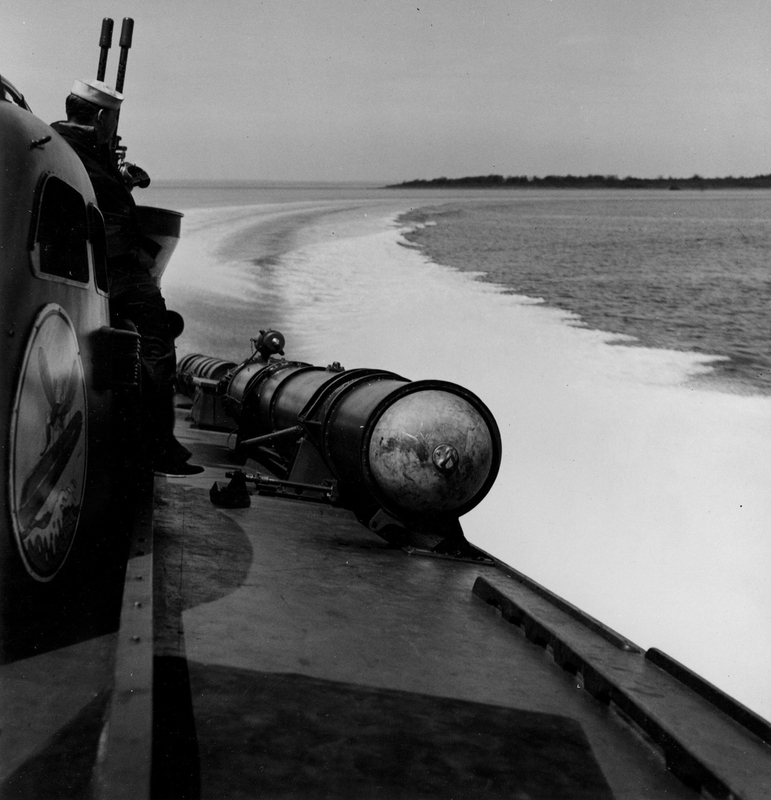 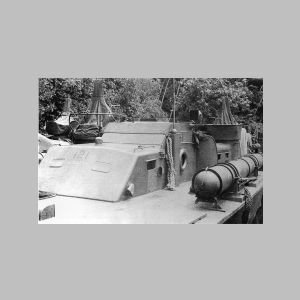 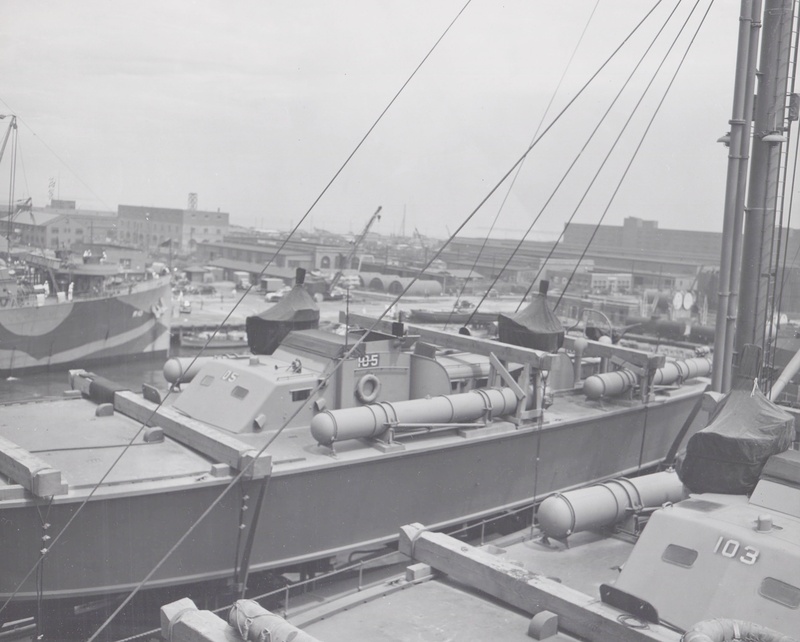 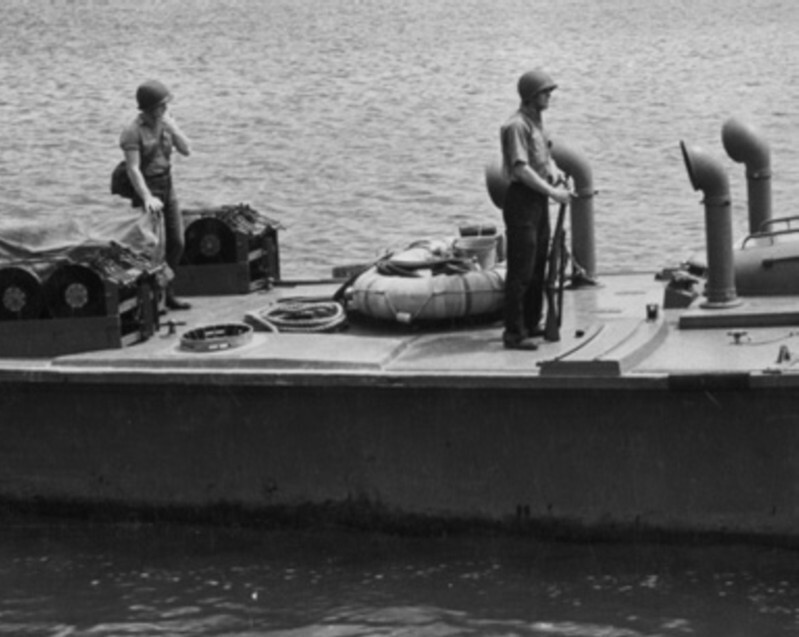 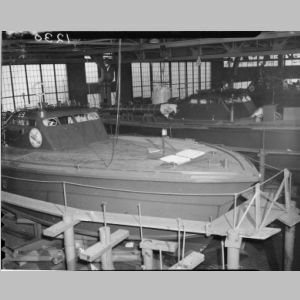 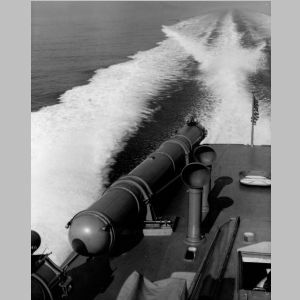 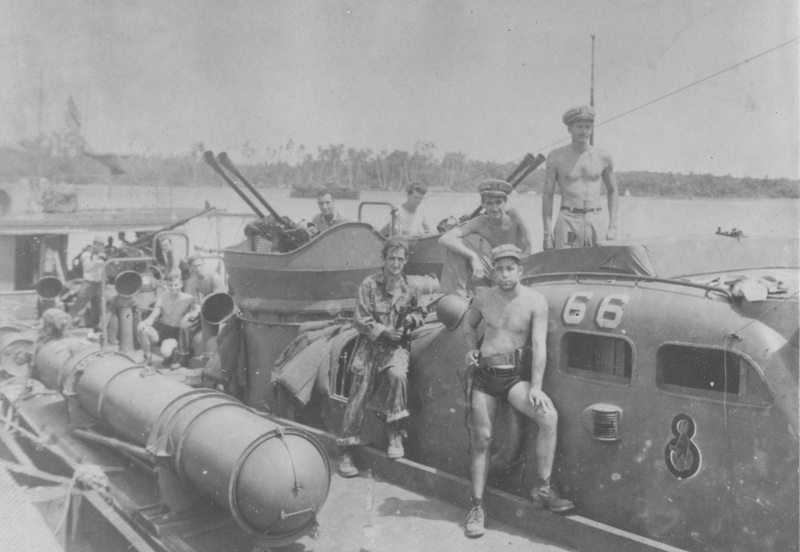 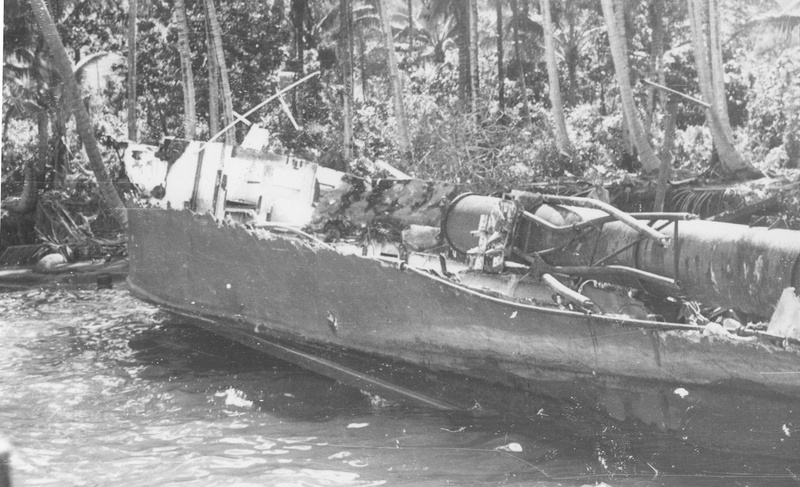 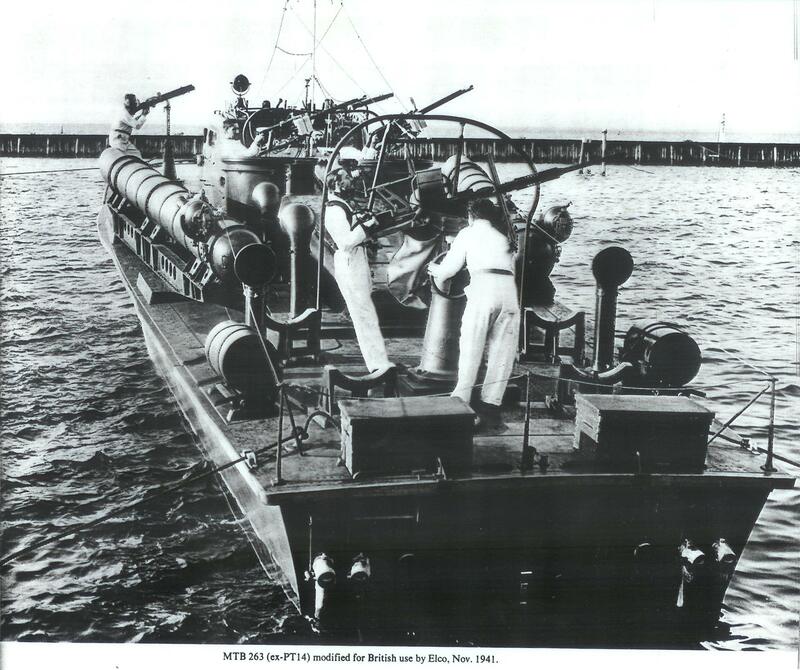 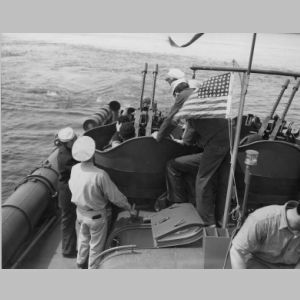 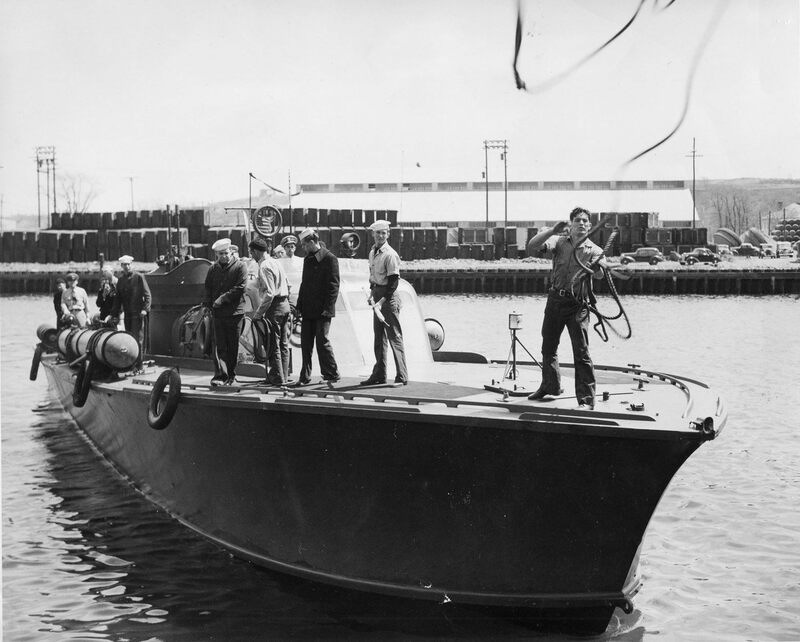 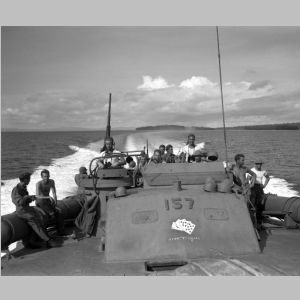 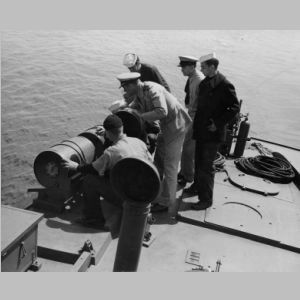 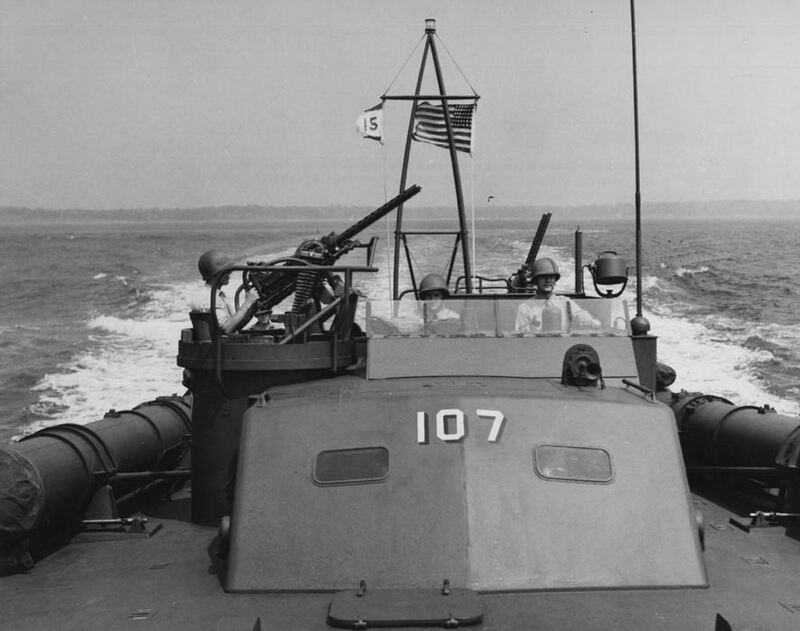 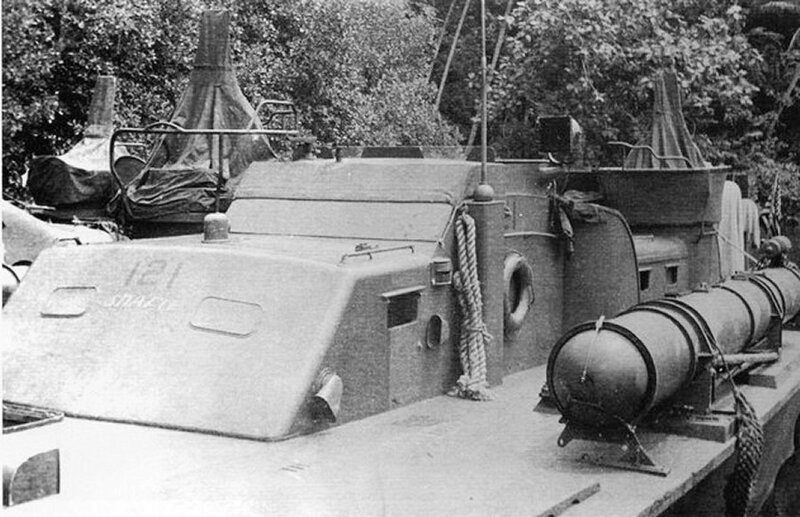 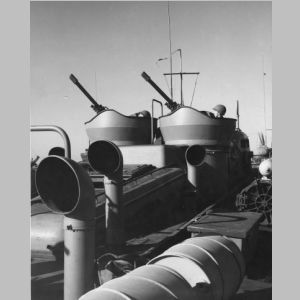 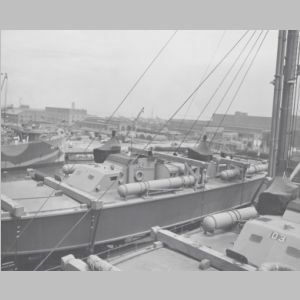 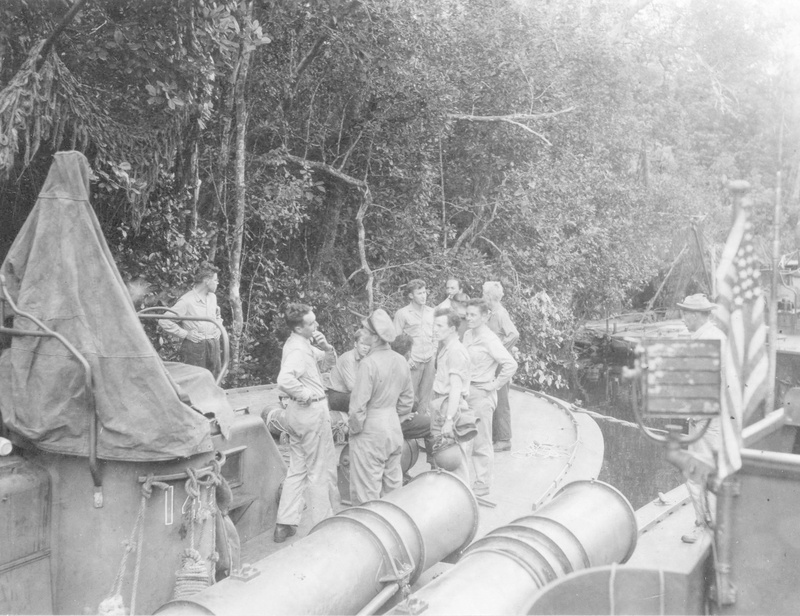 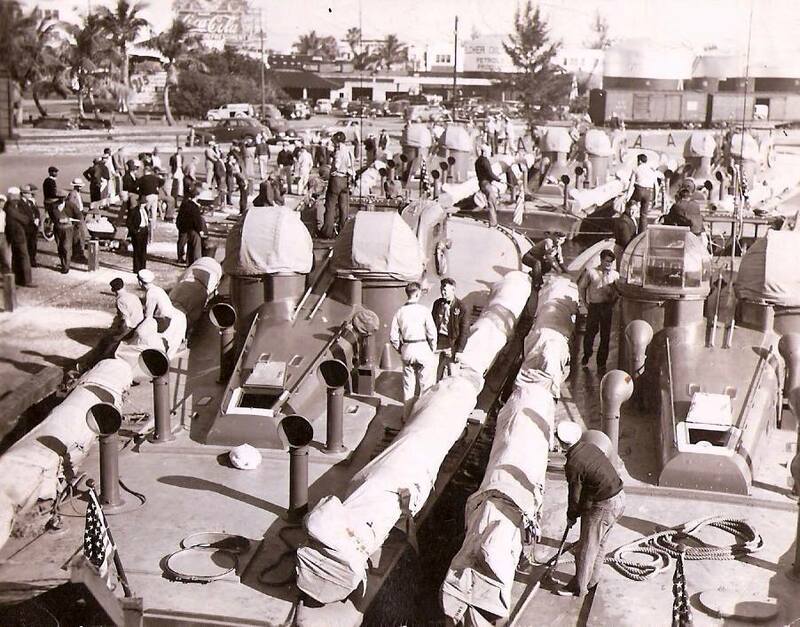 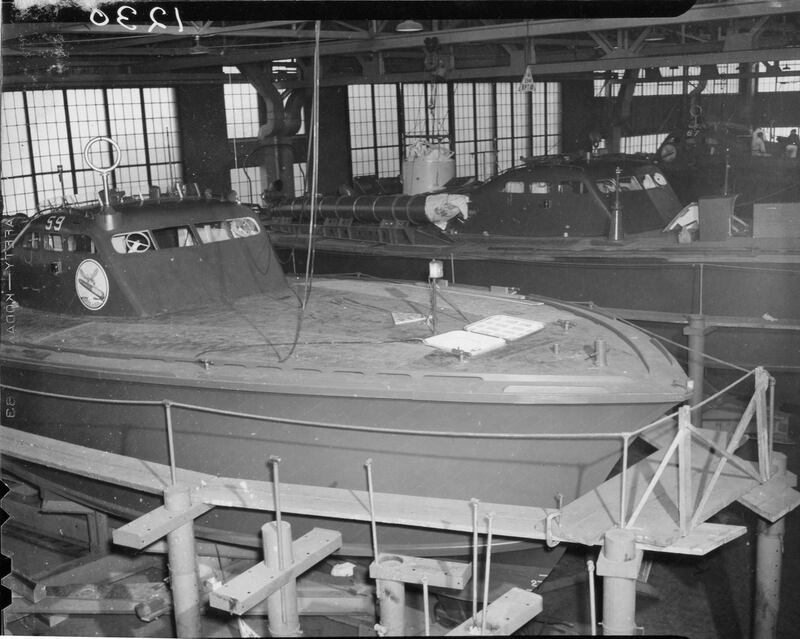 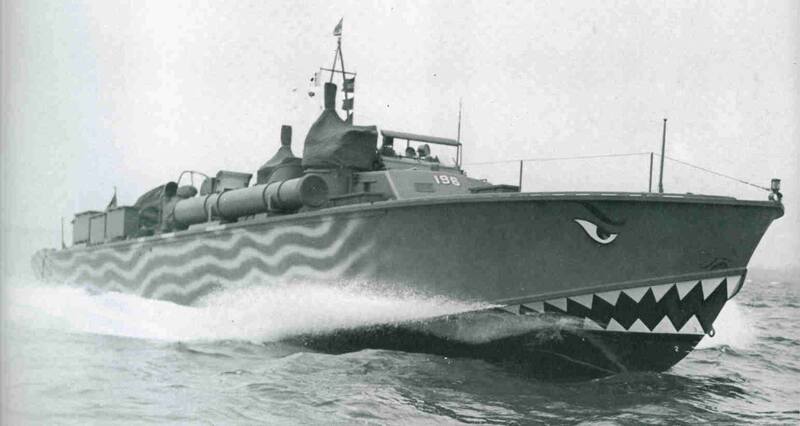 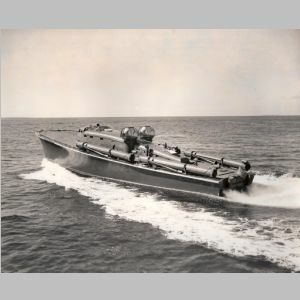 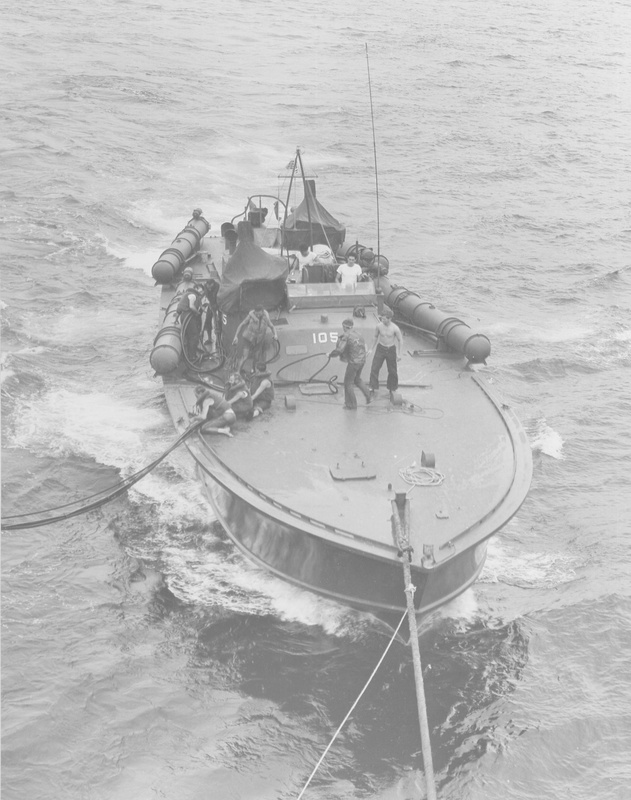 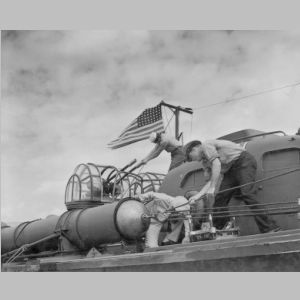 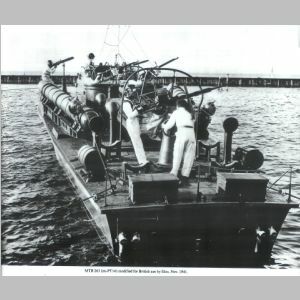 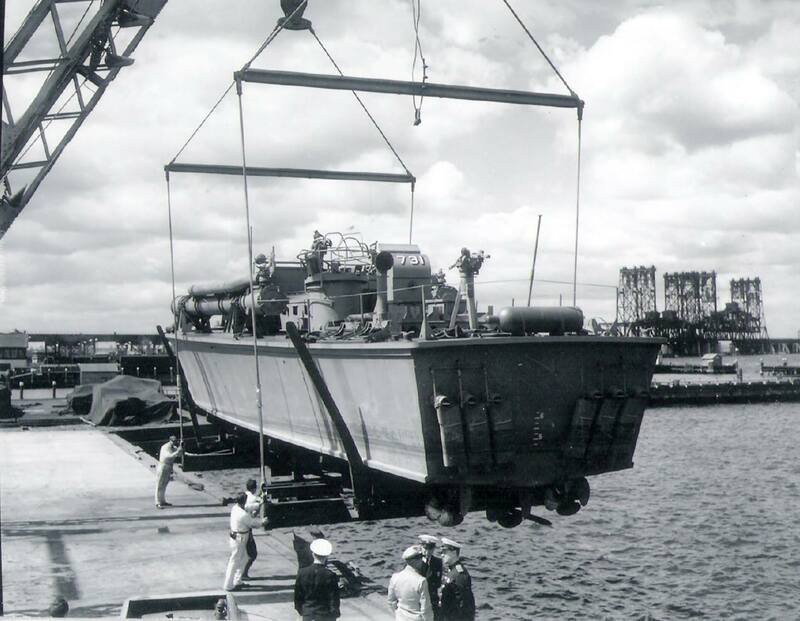 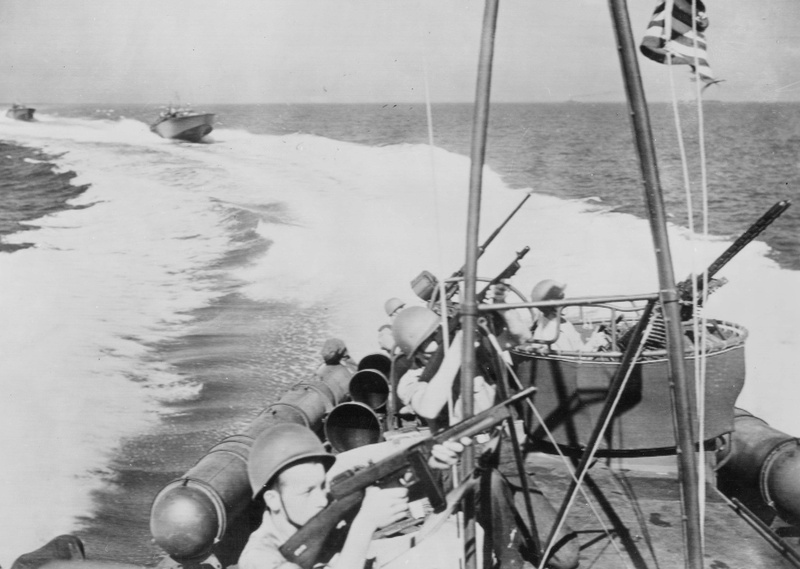 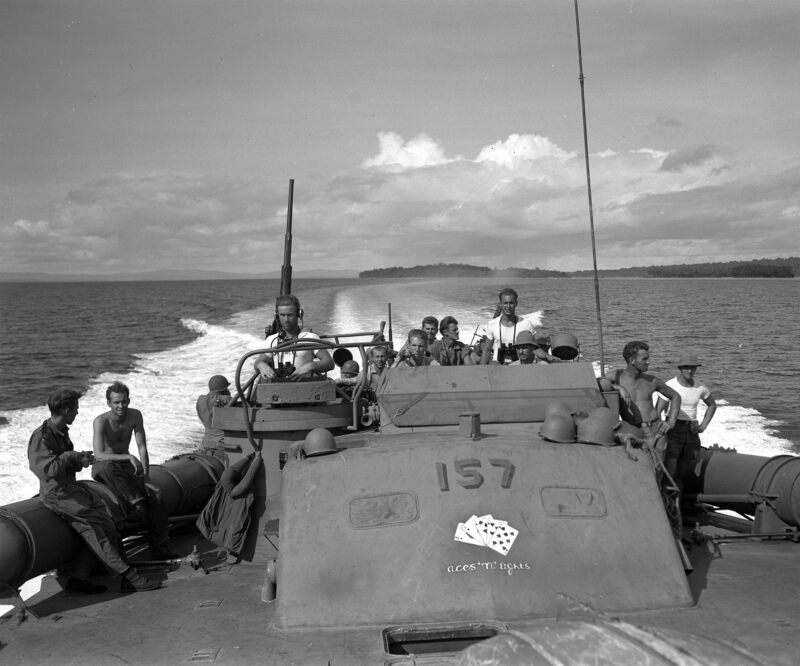 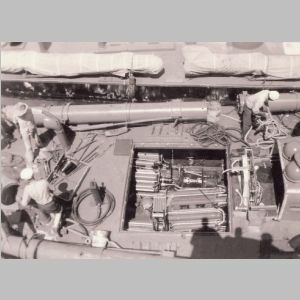 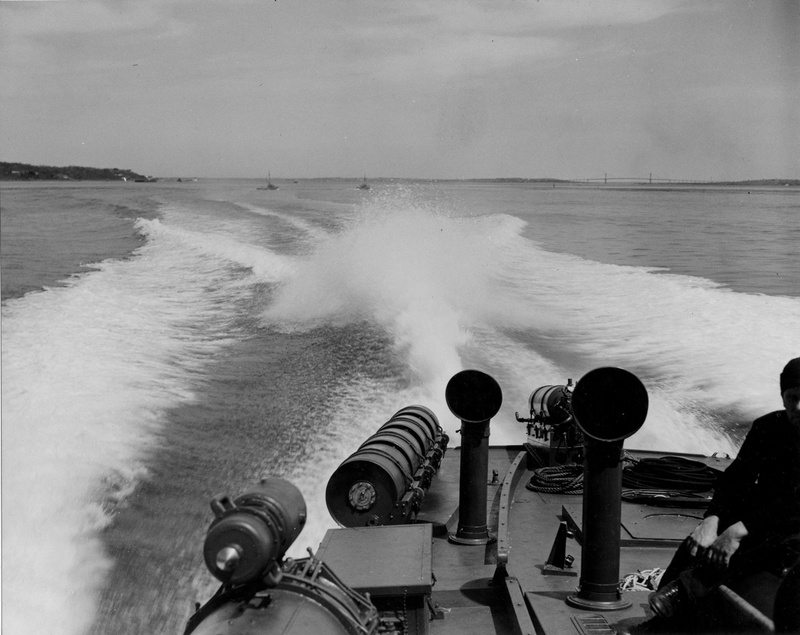 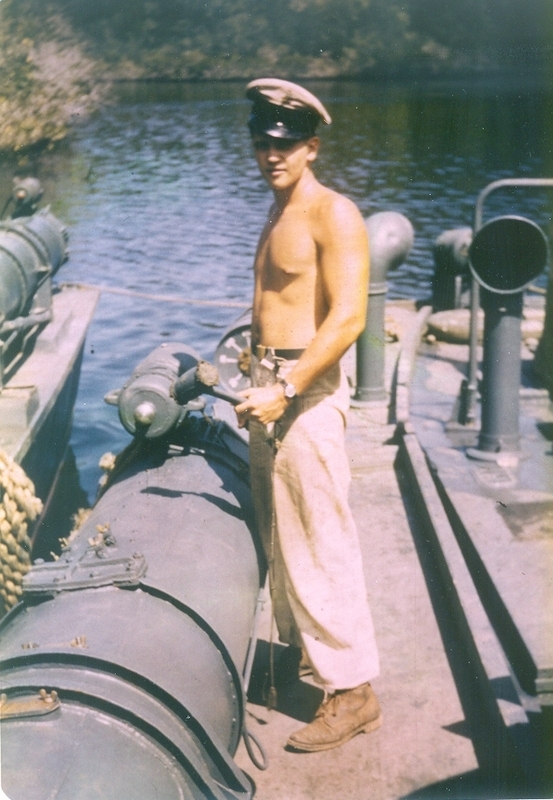 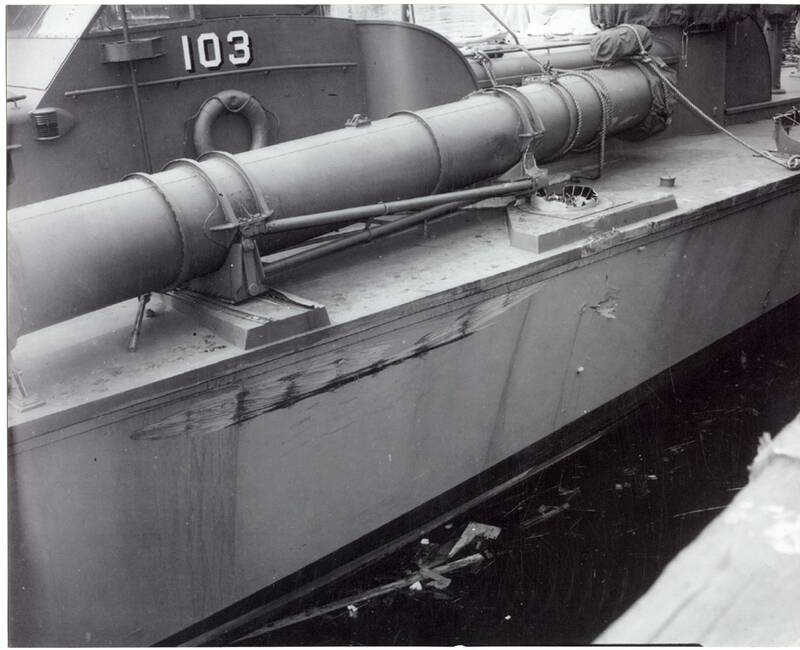 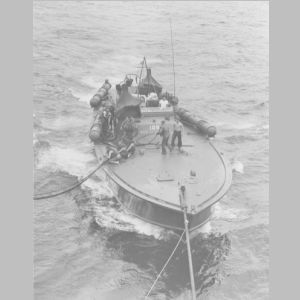 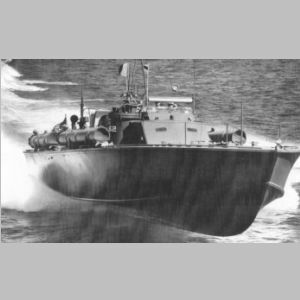 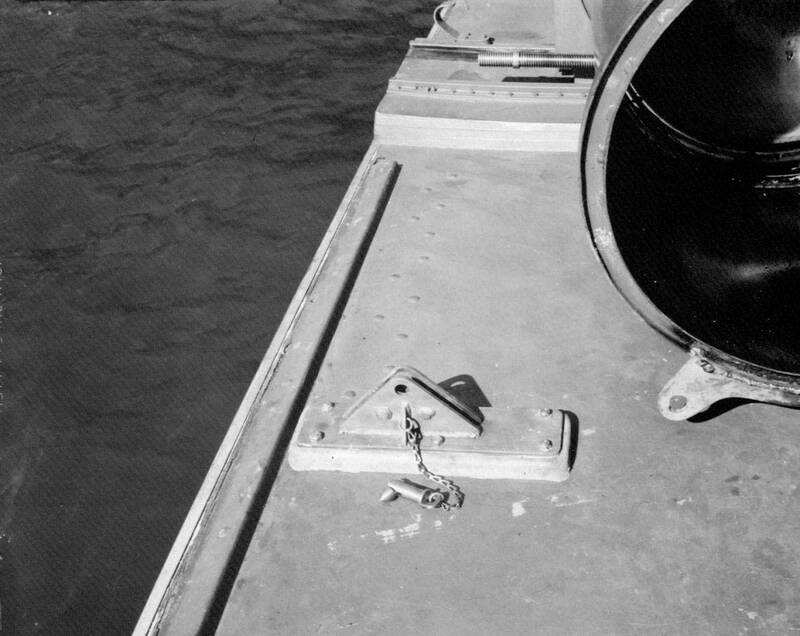 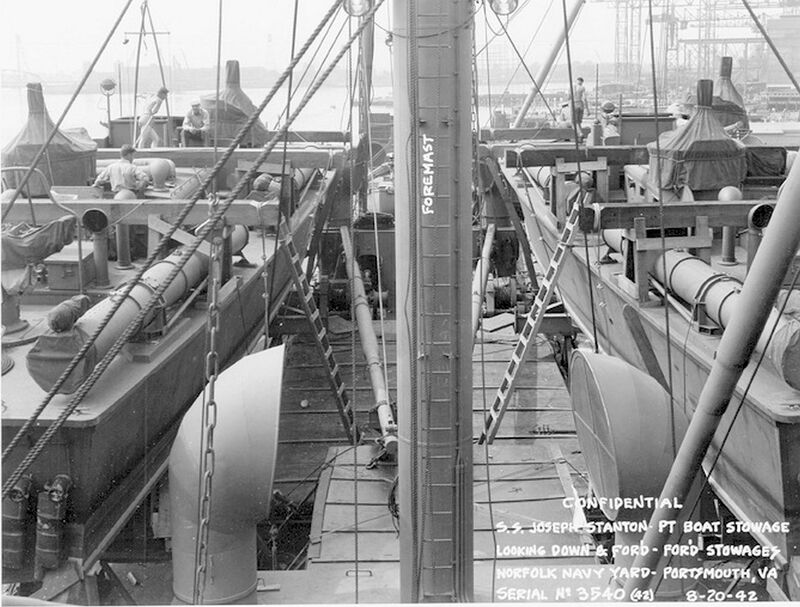 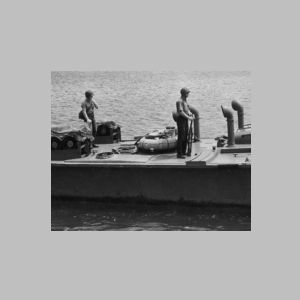 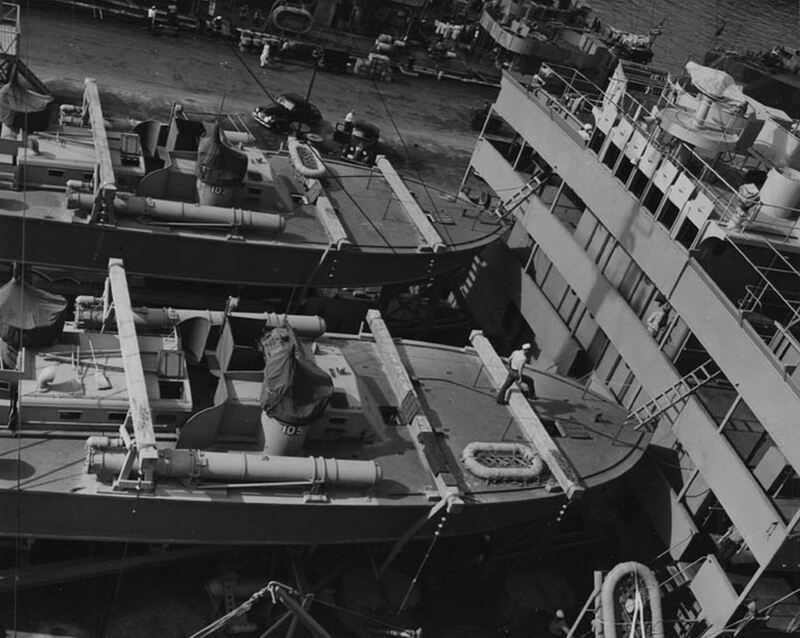 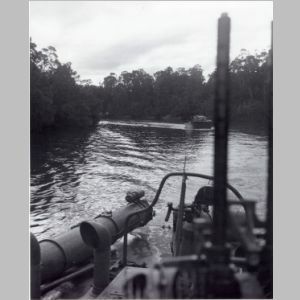 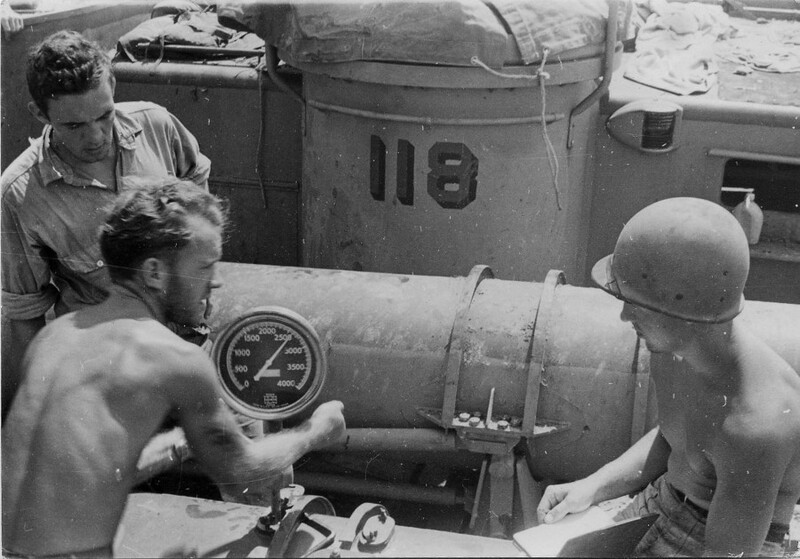 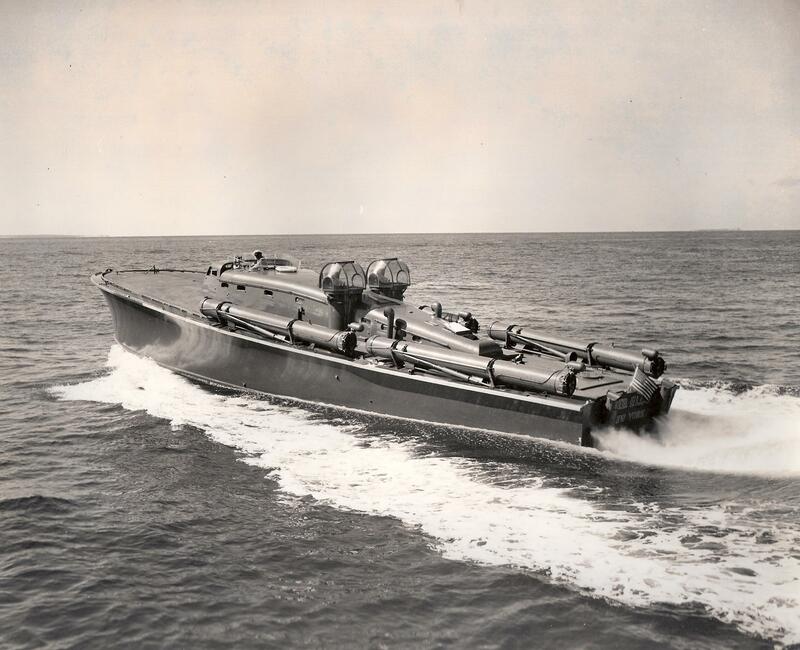 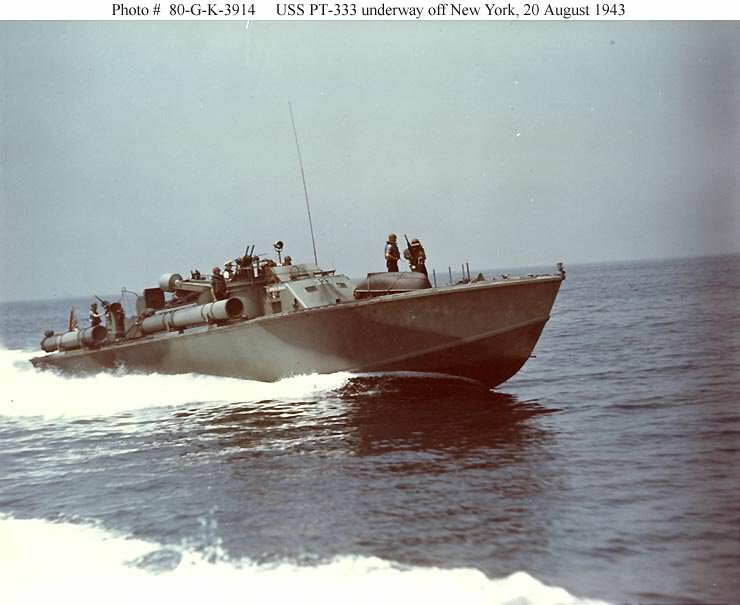 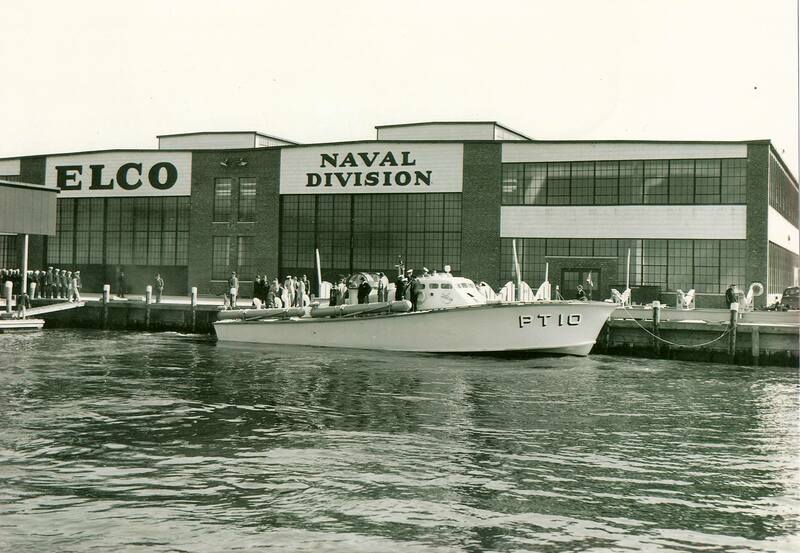 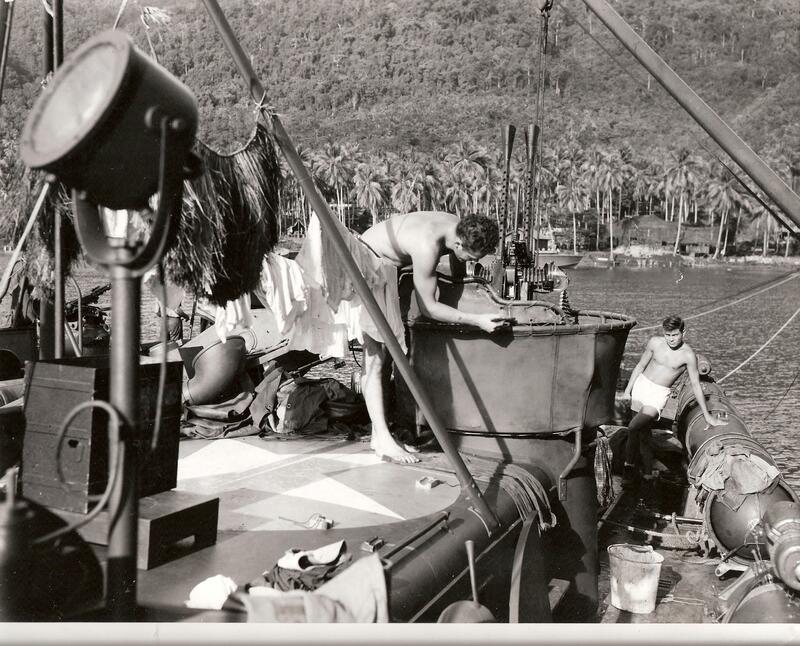 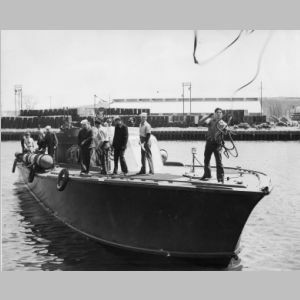 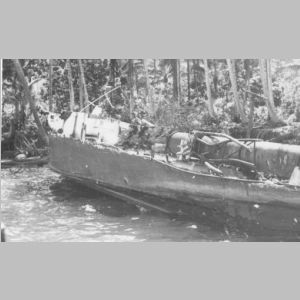 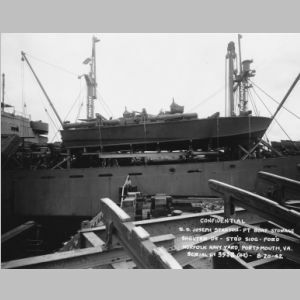 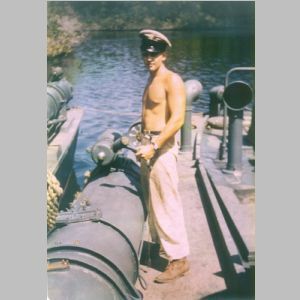 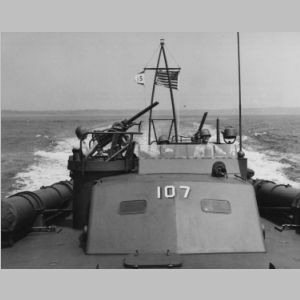 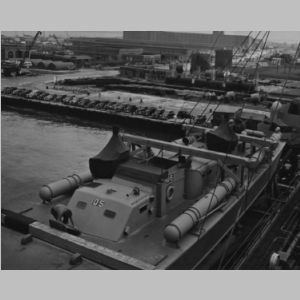 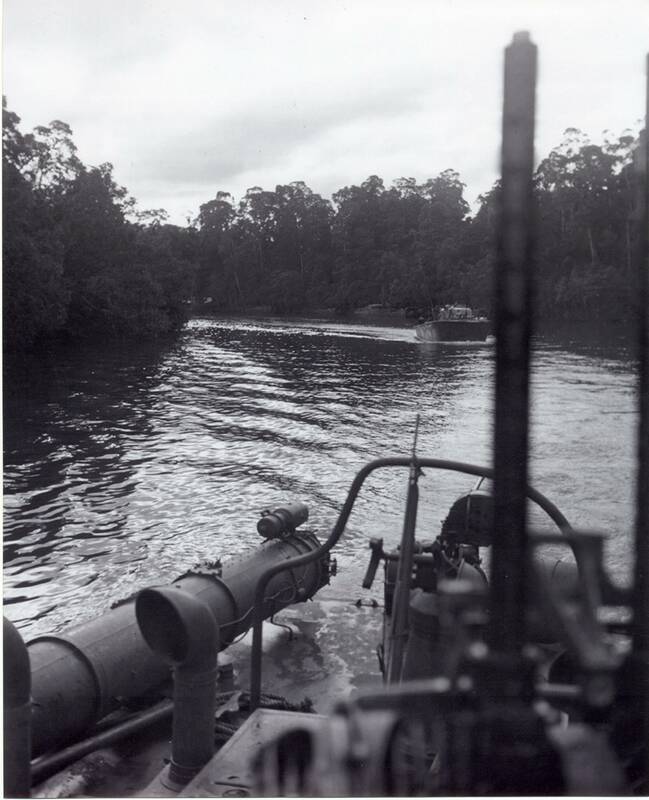 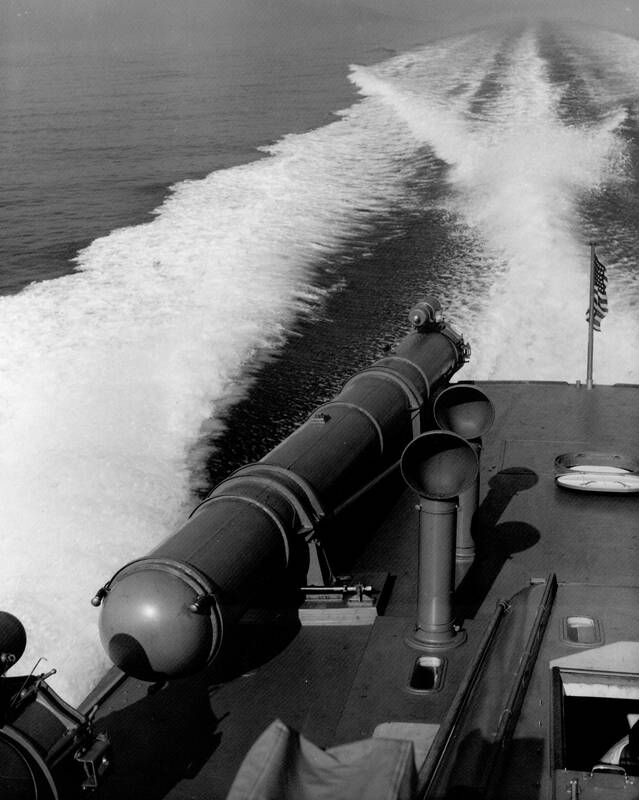 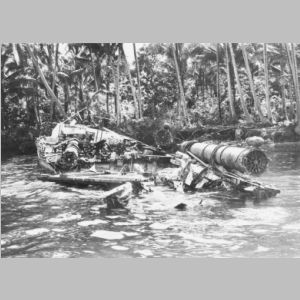 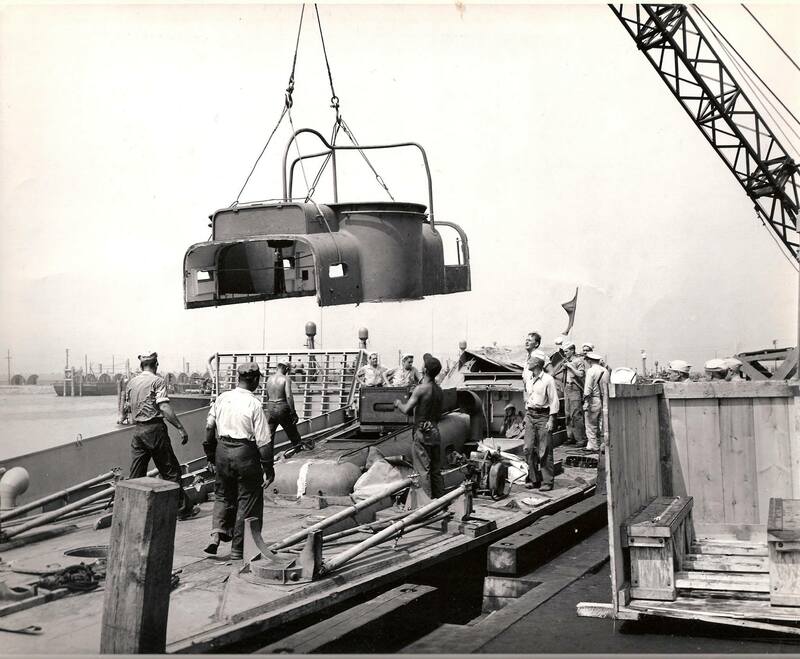 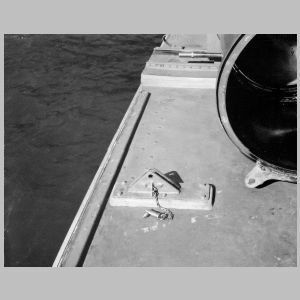 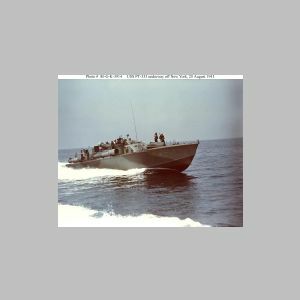 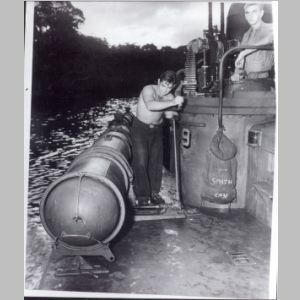 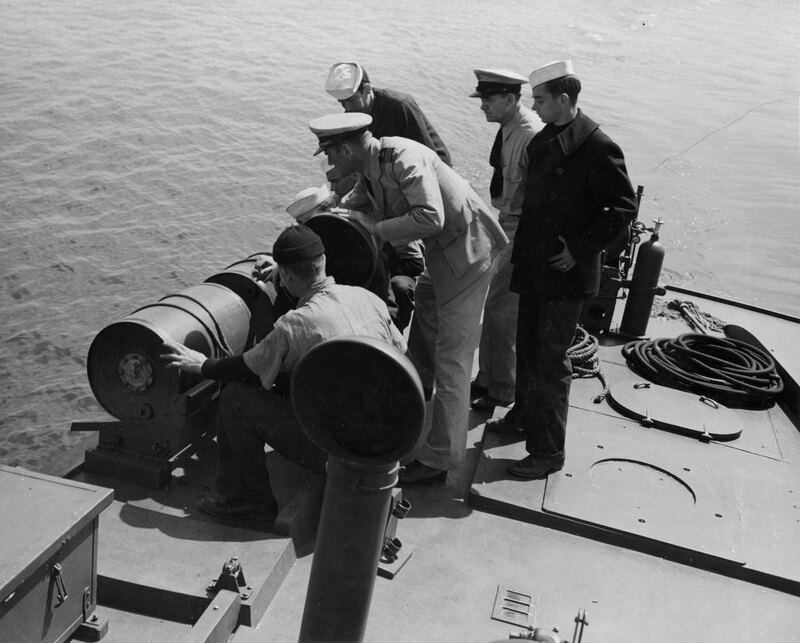 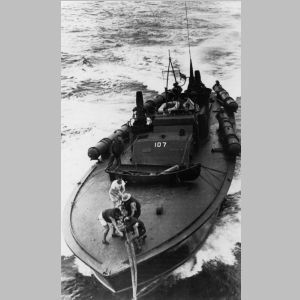 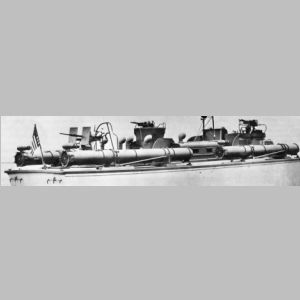 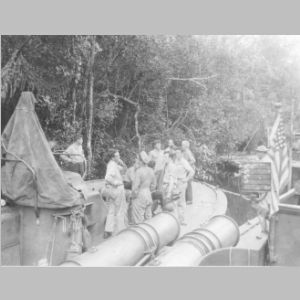 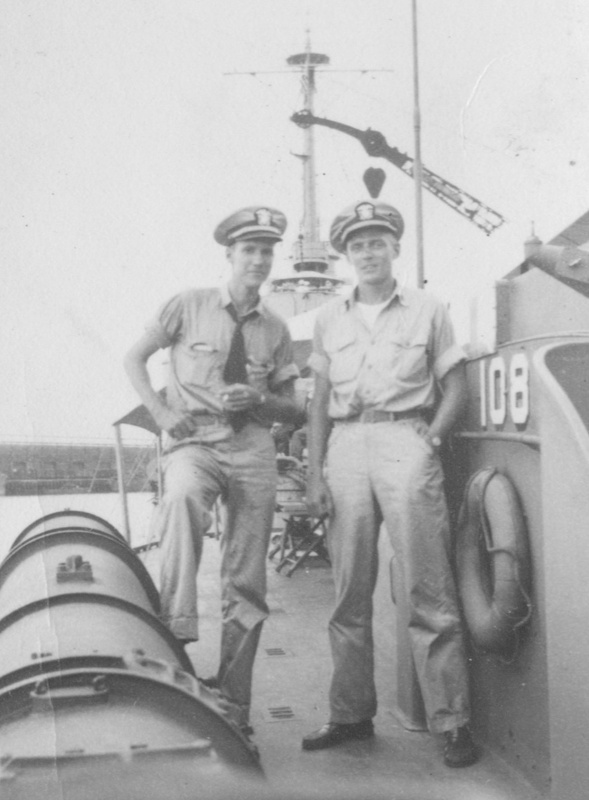 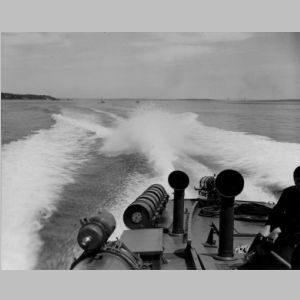 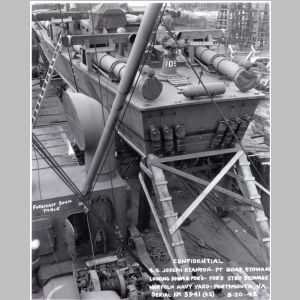 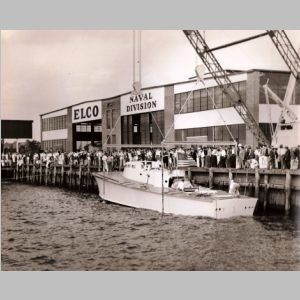 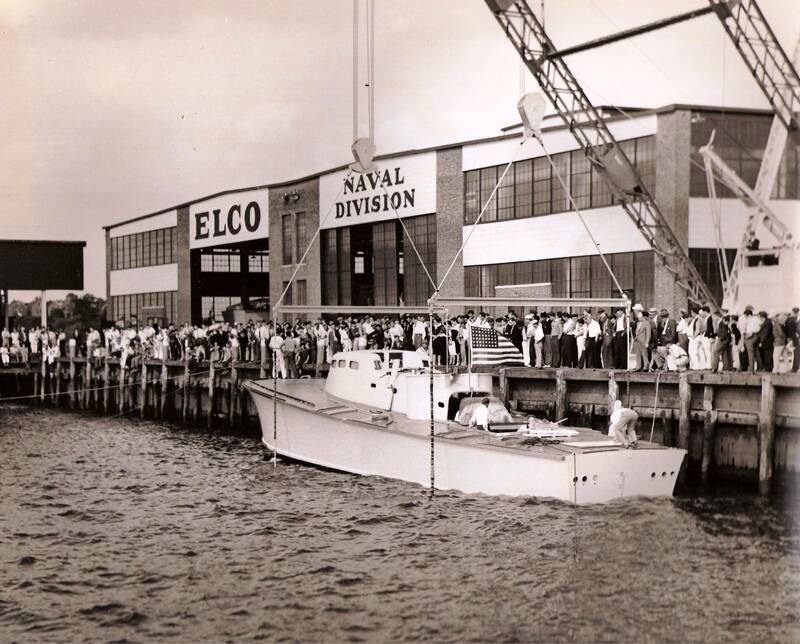 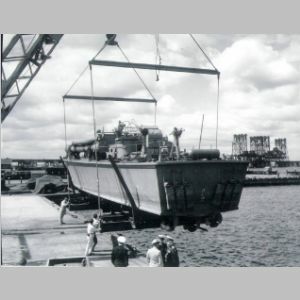 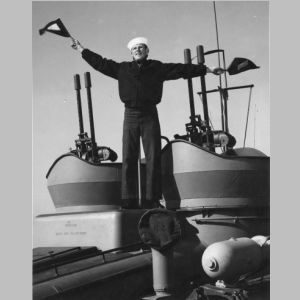 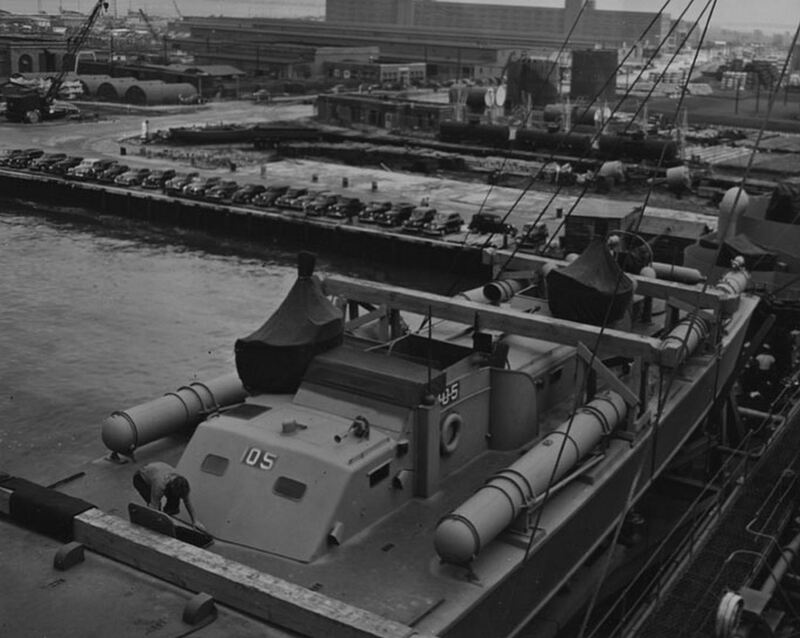 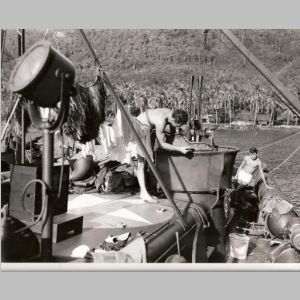 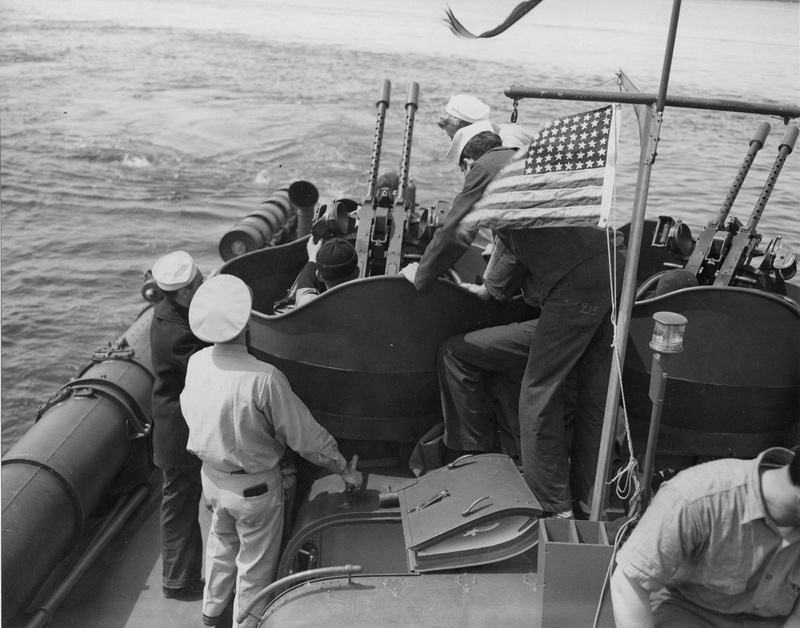 The following images show torpedo tubes on Elco PT boats. 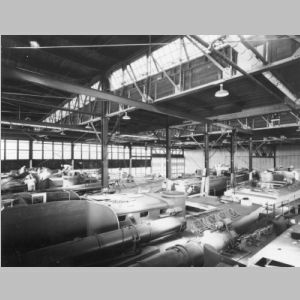 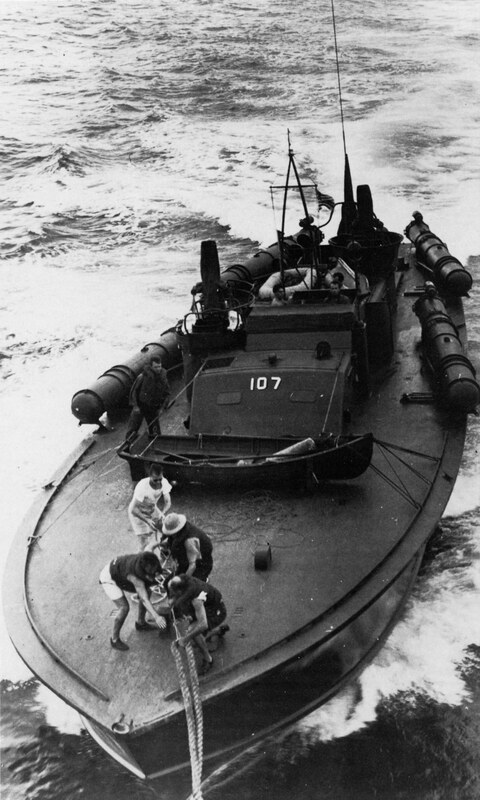 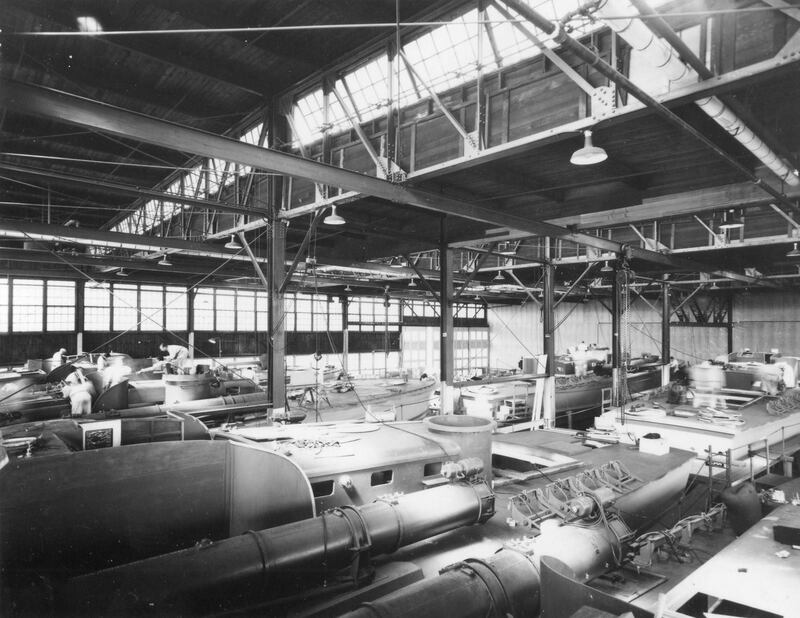 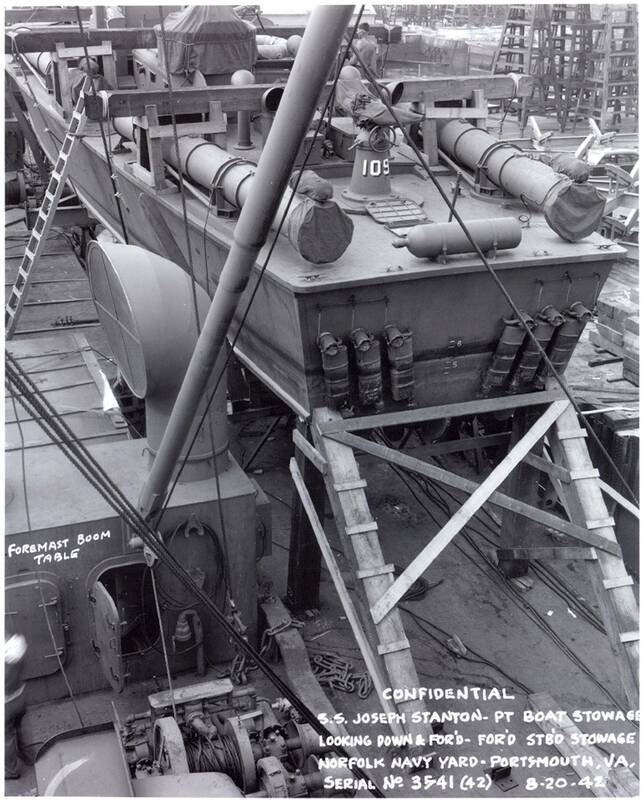 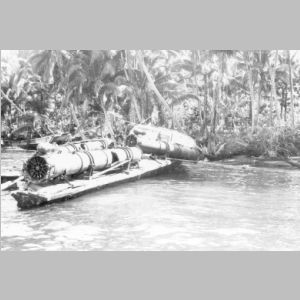 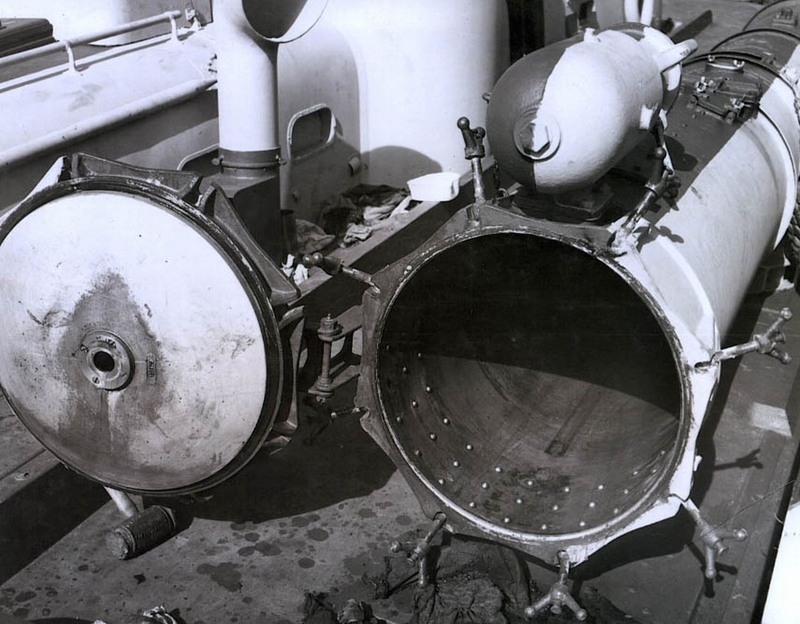 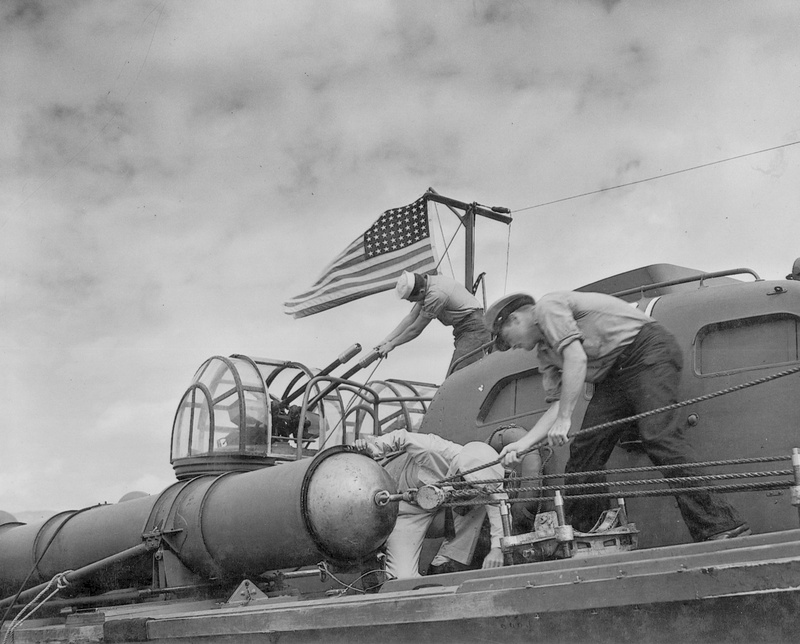 Initially 18" torpedo tubes were fitted as can be seen in the images of PT 9 and 10. 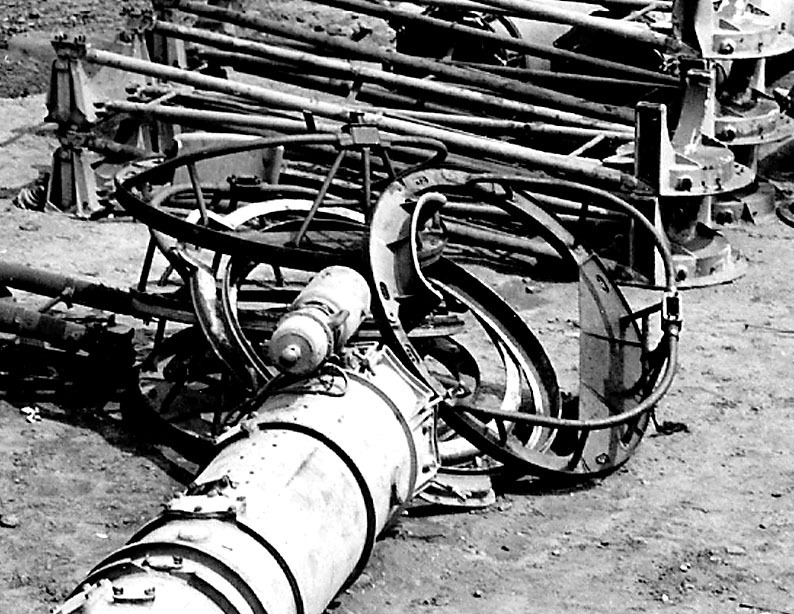 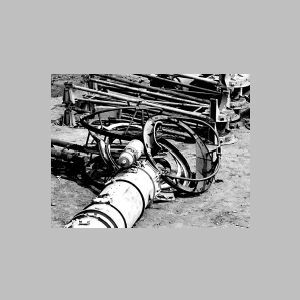 The 21" Mark 18 tube is seen in most of the other images. 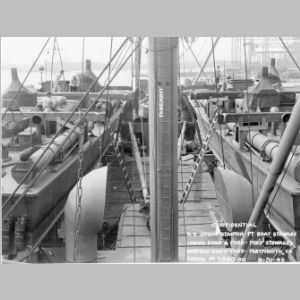 The images of PT 196 and 333 show what may be Mark 18 Mod 5 tubes. 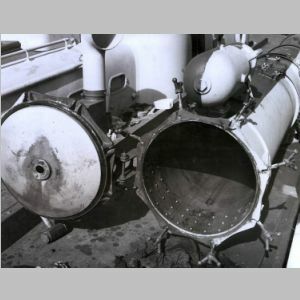 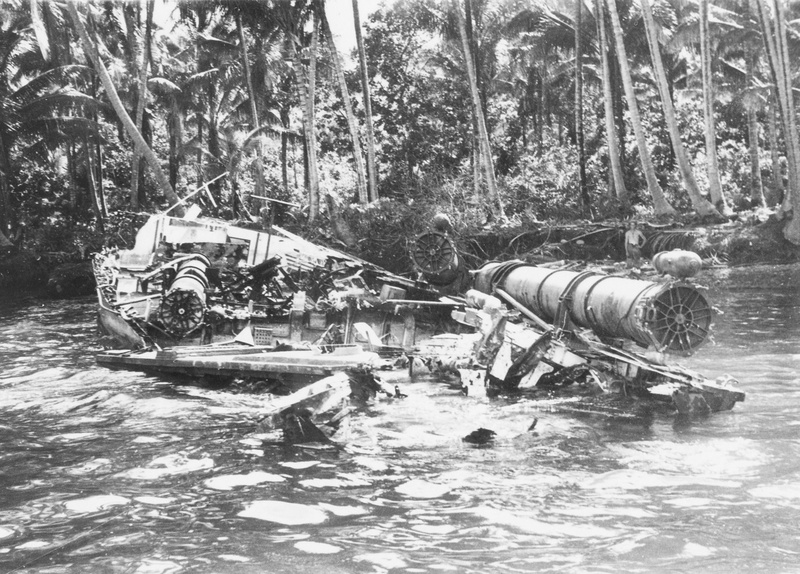 The image of PT 362 shows unknown tubes. 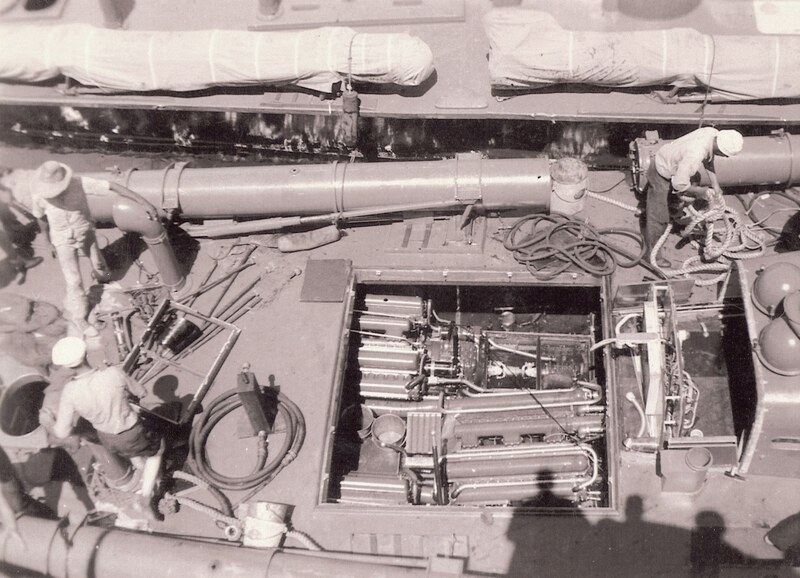 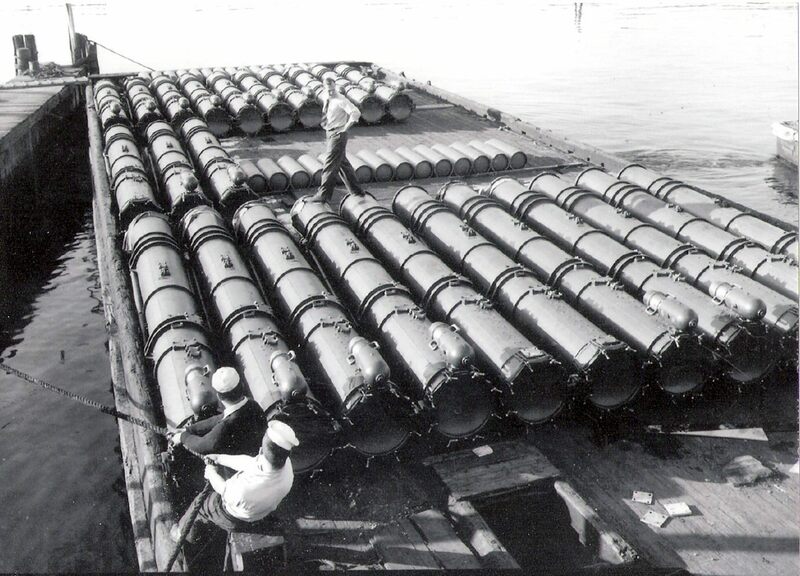 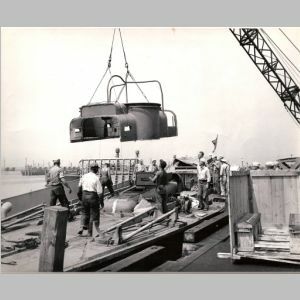 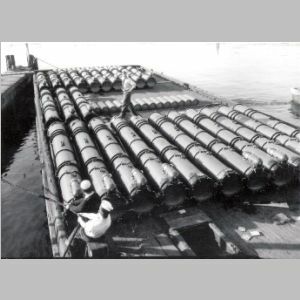 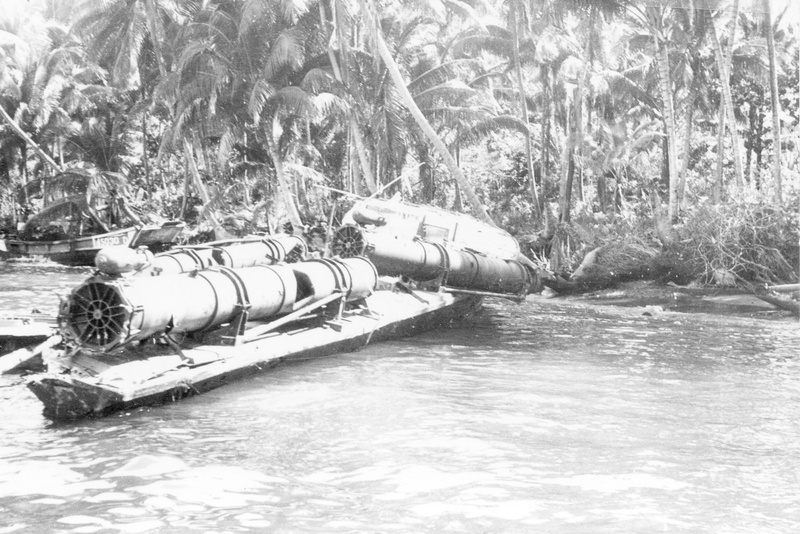 PT 731 is seen with compressed air driven Mark 19 tubes.